A Sankey for Energy Generation in the U.S.
Joshua Rosenau over at scienceblogs took up on the energy topic in his ‘Thoughts from Kansas‘ and presents a Sankey diagram for the U.S. energy distribution (The Problem of Energy Generation) from an article in Science (Whitesides and Crabtree: Don’t Forget Long-Term Fundamental Research in Energy, Science 9 February 2007:Vol. 315. no. 5813, 796-798). 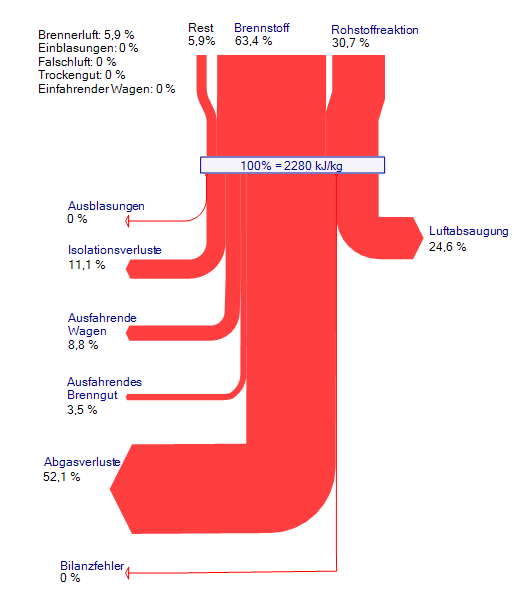 It shows that more than 55% of the energy produced is lost, mainly in transmission and distribution on the grid (approx 25%) and another 30% in transport-related combustion of petrol [Note to self: do a Sankey diagram comparison for 1911 race car and modern light vehicle]. 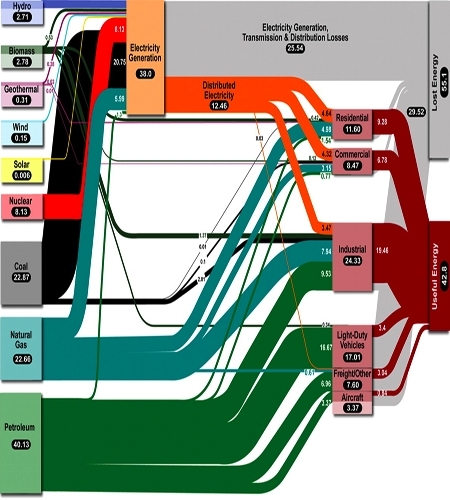 This Sankey diagram shows the energy carriers on the left side, the sectors where energy is consumed (noteworthy: traffic has a larger share than industry) as midpoint groups, and a breakdown to useful and lost energy on the right. 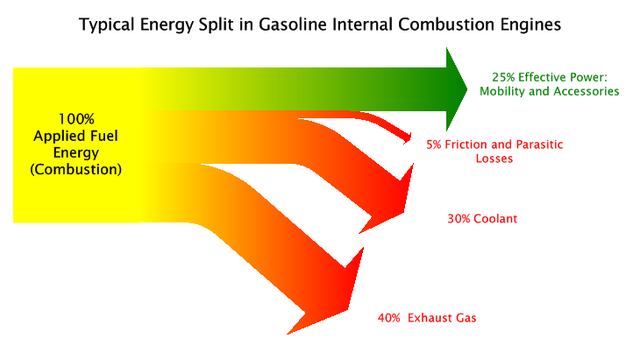 8 Comments »	Tags: efficiency, energy, energy loss, U.S. Here are two Sankey diagrams that show the energy losses in an industrial ceramic furnace. The diagrams are oriented top-down. The labels are in German. The Sankey diagram in blue shows the energy use in an industrial ceramic furnace. The flows are shown in absolute values and in percentage values. The second diagram in red is similar to the blue one, but it only show the relative flows in percentiles. Additionally the flows entering the diagram at the top have been separated to show their shares. Other flows (‘Rest’) have been grouped together and the individual contributions are shown on the label.